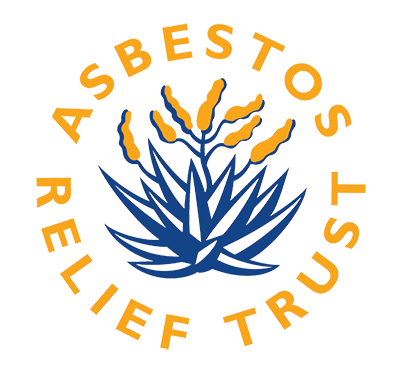 The Asbestos Relief Trust is a legal entity and is strictly governed by the Trust Deed. The Asbestos Relief Trust was registered in March 2003 under Letters of Authority No. IT1734/2003. The primary objective of the Trust is to provide compensation to Qualifying Claimants in respect of Asbestos-Related Diseases. The Trust works to accomplish this as fully, fairly and effectively as its means allow. This is as set out in Clause 4 of the Deed of Trust. The Trust will endure for a period of 25 years from the date of registration by the Master of the High Court. However, the Trustees having regard to the Primary Object, the interests of the initial Beneficiaries and the residual Beneficiaries may reduce or extend the life of the Trust by 5 years. This is as per Clause 10 of the Deed of Trust. Five trustees were appointed in terms of Clause 6 of the Deed of Trust. A further two trustees were appointed to the Board in August 2013, currently bringing the total number of Trustees to seven. The legal capacity of the Trust. It sets out the qualifying criteria for a claim, the basis for calculating a claim and methods of paying compensation. The Deed of Trust was drafted in consultation with and agreed to by all the parties (both claimants and defendants/Founders during the litigation which lead to the creation of the Trust. This document was Annexure H to the Settlement Agreement. Copies of the signed Deed of Trust are also available on request from the Head Office (see Contact Us page for contact information). BSc, BEng (Civil) Stel, MBL Unisa, Harvard AMP Diploma. After a 32-year career retired from the Industrial Development Corporation of South African (IDC) as Deputy Managing Director. Served on the boards of Gencor (until its unbundling), Saldanha Steel (Chair), Algorax (Chair), Hulett Aluminium, Small Business Development Corp (now Business Partners), Methold (later changed to Nail), Technikon Witwatersrand (now part of the University of Johannesburg), National Sorghum Beer Breweries and various other IDC property development companies. Presently still Chair of the Manufacturing Development Board of the dti and a board member of the Coega Development Corporation including a member of its HR&R and AFC committees. Served for many years on the Executive of the AfrikaanseHandelsinstituut (AHI). KwaThemaCommunity Health Forum (Chairperson), ANCRA as Chairperson. Connie is the Chief Executive Officer (CEO) at Kabo Capital. Kabo has been established with a view to create a unique BEE company, a company that has principals with extensive track record of managing large scale companies. Before that, Connie was an Executive Director and Group Chief Executive Officer of Johnnic Communications (Johncom) for seven years from 2000 to 2006. 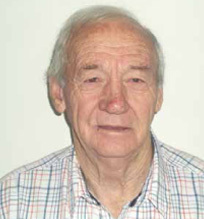 Prior to him joining Johncom, Connie was a career journalist with various South African publications and news agencies. He was also Media Advisor for the Reconstruction and Development programme. Further, he was Media Advisor to the Minister of Communications as well as a General Manager in the Department of Communications. 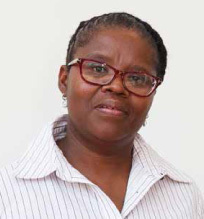 Connie serves as President of Print Media South Africa (PMSA). He is Chairman of Newspaper Association as well as a member of the Board of Directors of the World Association of Newspapers. 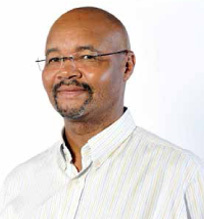 He also held a directorship position for the Electronic Media Network (M-Net and SuperSport) between 2001 and 2006. Mr. Silinda is the Chairman of the Firm and obtained his B A, LLB degrees from the University of Natal (Pietermaritzburg Campus) in 1996. 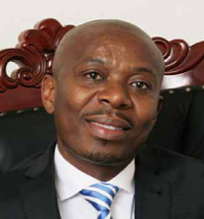 He was admitted as an Attorney in 1999, Notary and Conveyancer in 2002. He has extensive experience in Property Law. He heads the firm’s property and conveyancing departments. He deals with the day to day conveyancing matters of the firm which includes instructions from South African Leading Banks, Government Parastatals, and Estate Agents. Mr. Silinda also receives and handles instructions from the Land Affairs to transfer Land which has been successfully claimed into the names of the new beneficiaries.He has verified a number of Claims for the Land Claims Commission and conducted community trainings and assisted in the formation of legal entities on behalf of the Department of Land Affairs, Mpumalanga Regional Land Claims Commission and Limpopo Regional Land Claims Commission. He was involved in a post-restitution programme with Matsafeni Trust, a community which successfully claimed their land through the Restitution of Land Rights Act and are the current holder of the land where the Mbombela Stadium is built, as their Legal Advisor. He is currently an appointed professional trustee of Matsafeni Trust, Ingwenyama Simhulu Trust, Mjejane Trust and Asbestos Relief Trust. All these four trusts runs a number of successful businesses on their recovered land. He is also the director of Nkomazi Communities Development Fund. Chartered Institute of Secretaries and Administrators, South Africa. Last position held: Financial Director Gefco&Msauli. 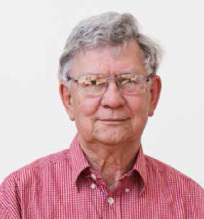 Started as Junior Clerk with Gefco in Kuruman in 1956. Promoted through to Senior Clerk by 1963. Transfered to Gefco’sSterkspruit Mine near Badplaas during 1963 as Mine Secretary. Transfered to Gencor’sMsauli mine April 1966 as Mine Secretary. Transfered to Gencor Head Office in Johannesburg 1971. Promoted to Financial Director by 1976. Member of consortium effecting management buyout of Gencor’s interests in Gefco&Msauli 1988. Continued as director until all mines closed.